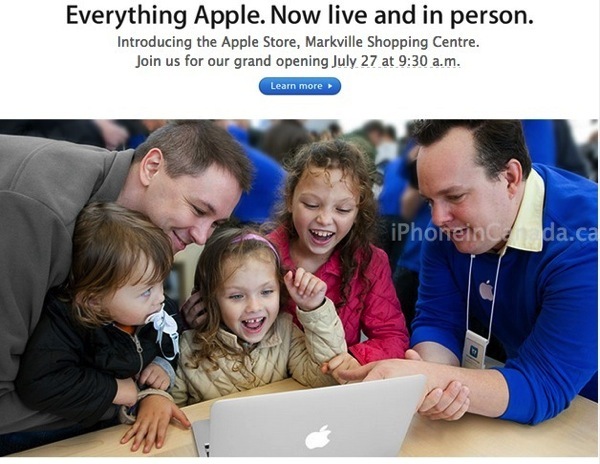 Apple has updated its website and sent out an email blast to notify customers its new retail store a Markville Shopping Centre is set to have its grand opening this Saturday, July 27 at 9:30AM. We first told you about this new store last month as retail job posting had confirmed the store plus images revealed the location to be at Markville Shopping Centre. This new store will mark the 28th Apple Store in Canada year, but a new store in Surrey, BC, opening later this year is set to increase that total. As always, grand openings will give the first 1000 visitors a free commemorative t-shirt (while supplies last). Let us know if you’re going to be waiting in line. You can send us pictures via twitter to @iphoneincanada or email us tips @ iphoneincanada.ca and we’ll post your pictures online!